74 pages of tasty, gut-friendly breakfast, snack and dessert recipes that all include nut butter in some way. Because life is better with nut butter in it - am I right or am I right!? Whether you follow the Specific Carbohydrate Diet, are paleo, gluten free, dairy free or just like really delicious goodies, this ebook is for you! Who wants to live well? Ya’ll should ALL be raising your hands! Well, then think of this 16-page (FREE!) 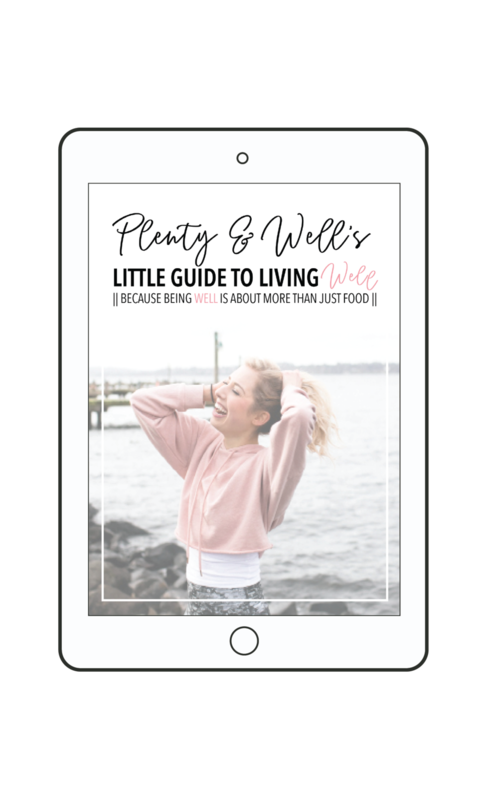 ebook as your wellness-journey pocket guide. It gives 12 tips that are essential to my wellness philosophy and are simple, straight-forward things you can start implementing into your life today. 10 paleo waffle recipes that are guaranteed to make you ask, “wait these are healthy! ?” From classic waffles that are perfect when you’re more focused on the topping bar to rich cacao waffles that taste too decadent to be good for you (but are! ), there’s something for everyone in the pages of this ebook!